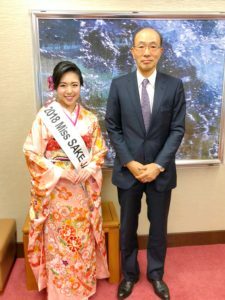 1 Asami Sudo, 2018 Miss SAKE, made a courtesy visit to the National Tax Agency, which has officially supported our activities as Miss SAKEs. 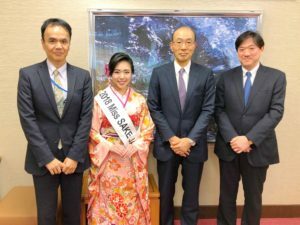 Asami Sudo, 2018 Miss SAKE, made a courtesy visit to the National Tax Agency, which has officially supported our activities as Miss SAKEs. On December 4th, I made a courtesy visit to the National Tax Agency,NTA, which has officially supported our activities as Miss SAKEs. NTA is an external organ of the Ministry of Finance, and supervises 12 Regional Taxation Bureaus and 524 Tax Offices throughout Japan. NTA also manages the liquor tax systems and promotes sound development of the liquor industry including SAKE. This time, we had an opportunity to talk with Mr. Takeshi Fujii, the Commissioner of NTA, Mr. Minoru Namiki, the Senior Deputy Commissioner of NTA, and Mr. Makoto Sugiyama, Director of Liquor Tax and Industry Division. 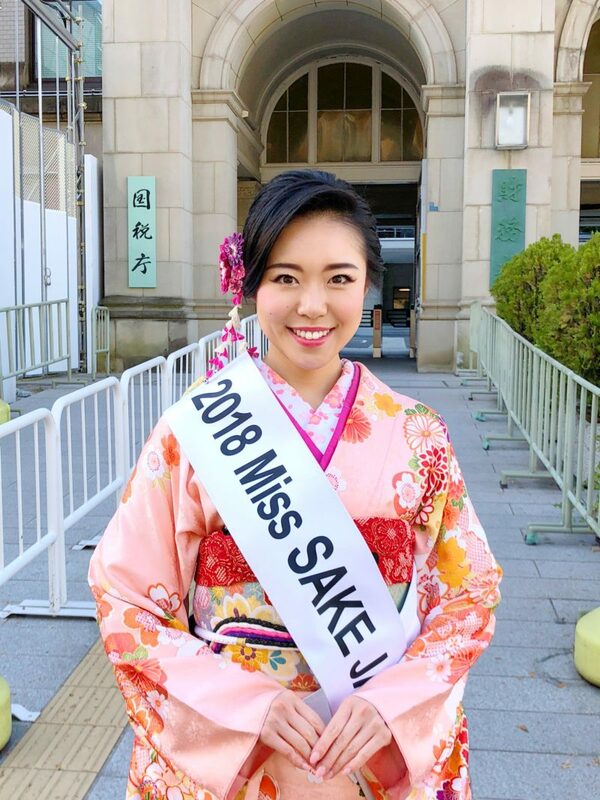 Since this March, when I was selected as Miss SAKE, I have been to 12 cities of 6 countries and joined promotion activities of SAKE and Japanese culture. On the day, I could report on such activities so far and our vision in the near future. This year is the sixth year of Miss SAKE Association and, as for 2019, Miss SAKE competitions in some foreign countries were decided to be held. It was an honor that I could introduce such various developments of Miss SAKE Projects and have words of encouragement. Hoping that our activities as goodwill ambassadors of SAKE and Japanese culture, will, even a little, contribute to the development of liquor industry, we’d like to continue to try our best. I extend my deep appreciation to Mr. Fujii, Mr. Namiki, Mr. Sugiyama and members of the NTA for making a valuable time in their busy schedules.